With winter, finally here in D-Town I am super psyched to kick my boots into action and wrap in cosy knits and Jackets! 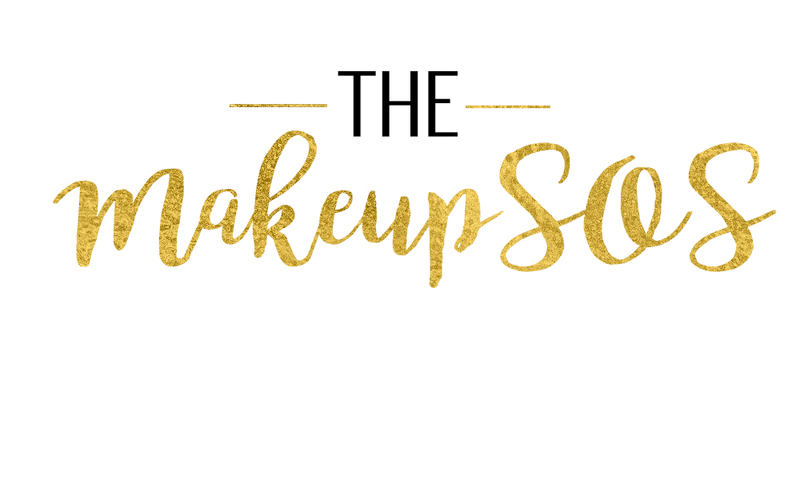 The great winter exultation is often short lived as one often finds themselves in a vicious-dreadful skincare rut! Coping with the Wryness and the seemingly boundless outbreaks can be ever so disheartening- Fret Not and say good bye to all your deepest winter skincare woes;) Our hand picked winter favourites is no-fuss winter skin care at its best for ‘glowy-happy—skin (every)day’ all through winter! As tempting as it maybe, dodge the temptation of bumping the shower-temperature! It’s ever so lethal and leaves your skin desert-ly arid and another lifesaving or more aptly a skin-saving choice;) is to adopt an uber-moisturising body milk for much needed TLC for your body! 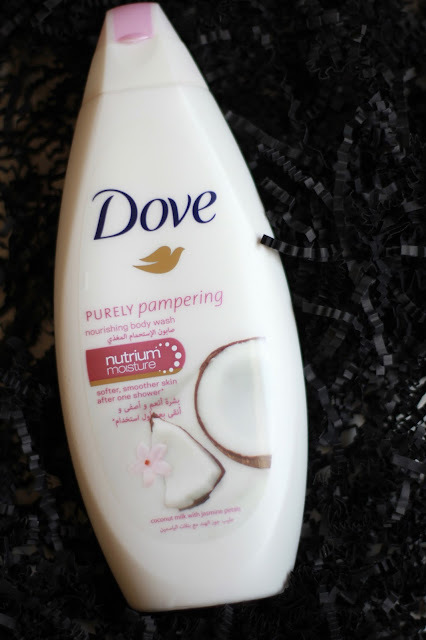 The Dove Purely Pampering Nourishing body wash- Coconut Milk with Jasmine petals has been my chosen one! The ever so-creamy body wash leaves my skin delightfully moist and plum! It was my love for all things coconut that drew me to the product and the jasmine notes are muted, making it pleasing even for the ardent jasmine-detesters- moi included;).It’s a bargain buy, you can thank me later! A quick shower should be the norm for the season, longer showers can cause the naturally occurring lipids between skin cells to break down! Exfoliate to elevate! It is no secret that for a healthy skin, regular exfoliation is key and with winter dryness in play, it is super-important to not over do it! Balance is certainly key, switch to a lighter exfoliating agent this season. I must confess I am ever so slightly biased towards L’occitane products and the L’occitane Amande Cleansing and Exfoliating scrub has been a major skin revelation. The almond oil and lightly crushed shells easily lifts away all the stubborn dry cells, leaving your skin ever so supple and prepped for your moisturizer! The Squeeze bottle makes it easy to handle the product! MOISTURIZATION is certainly the theme for the season! There is no quick-and-dirty ways about it! It just needs to be done, more so, it has to done! Smother in some rich buttery goodness to quench your moisture-thirsty skin and like a doctor on rounds, keep at it, hour after hour! My Rooted Coconut and Vanilla Body Cream with Argan Oil and Mango butter is moisture-full! The notes of mango is just divinely and brings back fond memories of summer and mocktails! 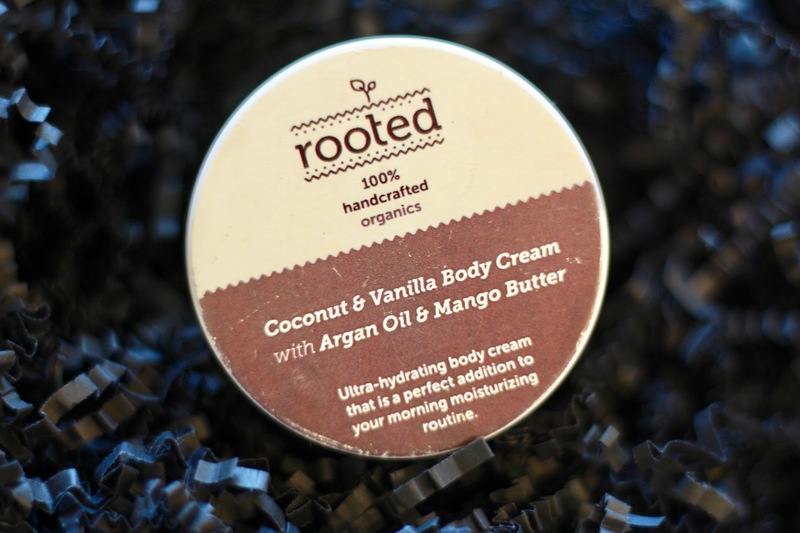 A bit of this goodness after shower and the rich cream is easily absorbed leaving your skin smooth and velvety! The ever so clichéd- drink plentiful water,holds true this season! Pitcher up and hydrate. A diet rich in green leafy vegetables and plentiful fish with high omega content is a must to propel glowy-glory.And don’t forget to layer up to fight the elements. Ernest Hemingway once said, "If you are lucky enough to have lived in Paris as a young man, then wherever you go for the rest of your life it stays with you, for Paris is a moveable feast." Summer of 2013 was my life-changing rendezvous with Paris and there was no ‘two-ways’ about it -Paris stirred me inside out! Like a ‘good disturbance’ the magical Seine and the brilliant L’ouvre imprinted on me! Be it immersing in some lush art or some quintessential Parisienne flâneur, sipping away finest coffee and delightful croissants- Paris is eternally -truly special! And it had to be done again;) We hopped on our EasyJet flights and zipped away for a weekend of adventure- to experience a wintry Paris! Oh boy, we loved it! The lessened touristy throngs at this time of the year, truly gives you the opportunity to get intimate with Paree! Cobbled streets and the mighty wrought iron lattice-tower beckons you into a play of hide and seek! It was certainly a tad bit wet for a picnic at champs-de-Mars, so we hopped off at Trocadero station instead, for the most-glorious-uncut view of the Eiffel! The knotted skirt from Zara is a must have this season! OTK old, similar here and here . Saddle bag from Topshop, Similar one from Mango here -its a bargain! When you disembark at Trocadero, one doesn’t really need Google maps for directions, Eiffel will surely summon you;) It’s a mighty force! With the cutest couples and polaroid camera lovers, the atmosphere is truly infectious! You are easily spoiled for angles,fluttering doves and hot crepes! We certainly ‘captured’ the moment, with a million (or more lol) clicks and then whisked away to the Pont de Bir-Hakeim for further exploration and oh yes, it was such fine decision making! With half the city running a marathon, it was remarkable to breathe in the mighty arches of the bridge built across the Seine. Pont-de-Bir Hakeim is also notorious for the 15secs of reel-appearance in the movie Inception and the bridge truly has a very endearing feel to it! It certainly seemed like the place –to- be for wedding-photography, stunning brides posed away-fierce fully fighting away the cold! A stroll across the banks of Seine is certainly a romantic window of opportunity! A trip to Paris is never complete without a visit to the markets! The Marché Bastille is open on weekends and if time-permits it’s a well-worthy visit. With the Freshest -Frenchest produce,From charcuterie to artisanal formaggio,it is a sight of a life time-I promise! With famished bodies, we foraged for celebrated local eateries and discovered the little gem Chez Janou! Sitting on a tight corner by the Rue Verlomme, Chez Janou has a retro vibe and it’s certainly buzzing, with plentiful locals( always a good sign;)!) , its renowned for Provençal cuisine! We settled for the hearty soupe de jour served with some crostini and garlic sautéed prawns served with jasmine rice. And for dessert we had to stop at the local boulangerie. Like a well-oiled machine, finest baguettes and croissants were spawned with great class! The patisserie displays were like little works of art, with glistening macarons and gleaming Mille-feuille -even the smallest berry placed with tweeze-perfection, it’s any sweet-lover’s greatest tribulation! Oh GOD ! HELP ME! A quick visit to the Notre dame, and oh yes, Aux Merveilleux close to the Notre Dame is a thing of beauty! Masses queue up to secure freshly baked cramiques and merveilleux cakes- a lovely meringue sandwich, camouflaged in whipped cream and smothered in fine chocolate shavings is absolutely divine and the produce literally sells like –hot cakes! Picking up from where we left ;) a Notre Dame visit is dutifully right. The Gothic architecture and the significant stained glass work or even the deep notes of the magnificent church bells on the South Tower leaves one moved! Paris is always a good idea-no matter when! Let the whimsical city romance you, may there be much merriment over abundant Rosé and joyful buzz of new things discovered !